I caught myself acting rather strange, or more or less unseasonable, several months ago. It was a cool, crisp morning and I was out and about of my families’ farm in west Alabama, trying to curb the feral hog epidemic and simultaneously catch fall fever. As I eased around a corner to stare down a long row of dropping sawtooth oaks, I was whisked away to a day in mid-April when I was doing the exact same thing, albeit with a different purpose. In that instant, without thinking, I let out a crow call with my mouth and listened as it echoed through the river bottom, hoping that a gobbler would respond. I did it as a reaction. I did not ponder as to how silly I would appear if a bank president or an elected official would have seen me doing that in mid-September. It simply felt right, and I was supremely confident that a turkey would satisfy my craving for just one more gobble. All I heard was silence. The 2012 spring turkey season was a season of triumph for me and my close group of friends. If there was a better season on record in west Alabama, it was before I was conceived. The season started off with a bang and really did not taper off during the “headache season,” as Colonel Tom Kelly calls the last twenty days of April in Alabama. Turkeys died early and often, and on average the hunts were worthy of a heart examination. Little girls in pink shoes could have killed at least one turkey the first week of the season. Because it was such a fine season, it kept me wanting more. I filled my five bird limit on April 18 and “guided” friends and family until the season went out. I made a last minute trip to Tennessee in early May and came home with a goose egg. Not one to give up, I, my brother, and two close friends went to eastern Nebraska in late May and I was fortunate to kill my biggest bird yet. It was a great ending to an amazing spring. But does the spring truly end for the passionate turkey hunter? Do they really switch off their enthusiasm for the sport and resume in late February? I do not know about you all, but I literally think about turkeys every single day. The echoes of a turkey gobbling just outside of gun range on opening day reverberate as vividly today as they did on the day they happened. The mistakes I made on misses and blunders continue to haunt me and commit me to improving upon them in future seasons. The rush of the “victory dash” to a flopping turkey continues to raise my heart rate as it crosses my memory. It never stops for me, and I am hopelessly imprisoned to the addiction I have for the sport. Fortunately, those of us consumed by the sport can depend on fall pursuits such as deer hunting, or in some states fall turkey hunting, to pass the time. While I thoroughly enjoy the fall, college football, and Bowhunting for trophy whitetails, all pale in comparison to the rush of spring turkey hunting. Until opening day, all we can do is enjoy each day we are blessed with and dream of the roar of a lovesick gobbler ringing through the pre-dawn silence. I must admit, it would not break my heart if I woke up and it was opening day. David Hawley from Livingston, Alabama is the Franchise Sales Manager for Mossy Oak Properties. 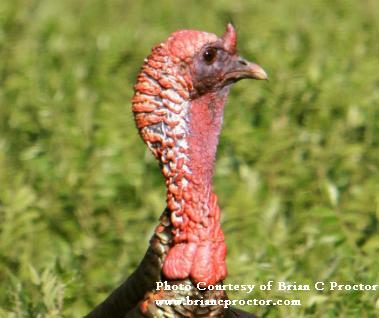 A true turkey hunting addict, he moonlights as the Editor for Wild Turkey Report. Contact David by emailing him at editor@wildturkeyreport.com or dhawley@mossyoakproperties.com!